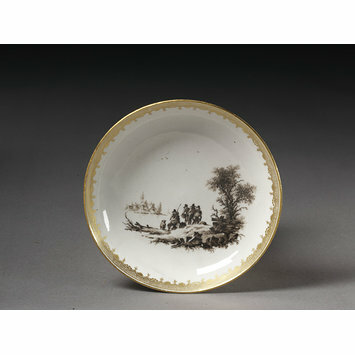 Saucer of hard-paste porcelain painted in black and gilded. 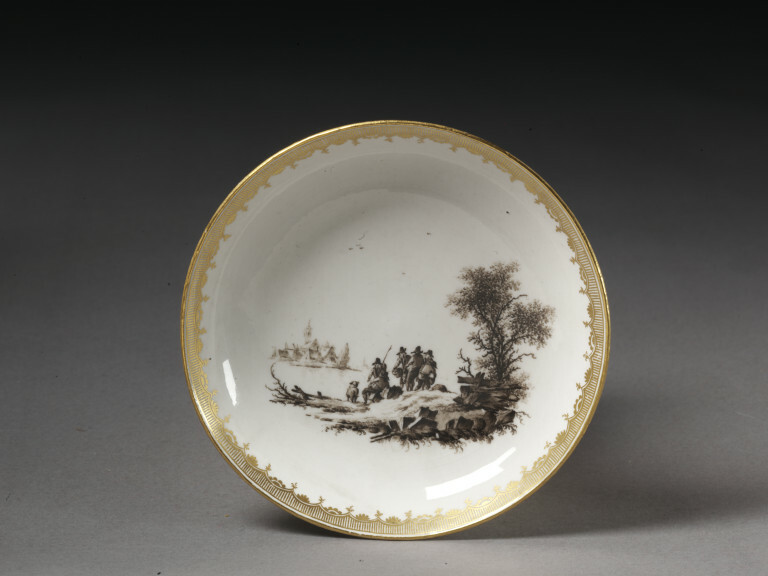 With a shore scene with a group of men, rocks and a tree. In the distance are buildings. Gilt border of diaper and cresting.